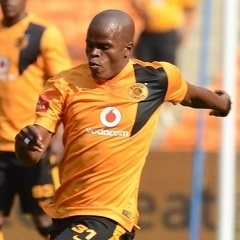 Cape Town - Kaizer Chiefs' Zimbabwean striker Willard Katsande has urged his teammates to look past their CAF Champions League exit and focus on securing the Premiership title. Amakhosi were dumped out of Africa's premier club competition this weekend after being beaten 3-0 on aggregate by three time CAF Champions League winners Raja Casablanca of Morocco. Chiefs have been on a horrible run of late having only won once in their last six games in all competitions, including getting knocked out of the Nedbank Cup by National First Division side Black Leopards. The club maintains an eight-point lead ahead of Mamelodi Sundowns at the top of the Premiership table, but the Brazilians have a game in hand. With only six games of the domestic season remaining Chiefs' position looks relatively safe, but that will change very quickly if they are unable to turn their form around soon. They take on bottom-of-the-table AmaZulu at Peter Mokaba Stadium on Thursday in their next league clash and Katsande says they need to focus on winning the Premiership so they can compete in the CAF Champions League again next season. "We have to let bygones be bygones and focus on what we have now," he told Soccer Laduma. "We want to go back to Africa next year and winning the league title will give us that chance. "We are playing AmaZulu and that's what we have to be thinking about and focus on that. "They have rediscovered their form and they are playing very well. "We are aware of that and we know what to do to collect the three points tomorrow."